Are london onnections TFL the link seems to be knocking TFL for lack of progress on stations from Padd to ayes. No - London Connections is a privately run board, much like this one. And its not only knocking TfL for the lack of progress at the western stations. Network Rail is the main one to blame. TfL are only tenants of the stations. They have slots for coins and notes. And clearly advertise Oyster top-ups. Has anyone spotted the typo on the new TfL ticket machine screens? No - its not the announcement that Oyster is available when it isn't. No - its not the statement that pre-booked tickets can be obtained when they can't. No - its not the clear and obvious facilities for cash payments when there is also a statement that bank cards can only be used. It is a genuine typo of the Grauniad variety, demonstrating sloppy and unprofessional programming. Which immediately got me thinking that, along the same lines and consequent upon his latest pronouncements, our beloved Secretary of State for Transport should henceforth be referred to as Crass Grayling. I thought it was Failing Grayling. At Hayes & Harlington Station they were not allowed to use Station Parade - the once railway-owned road - leading to the station - for the substitute buses. These latter had to use Station Road normally used by a myriad of private hire cars / cabs. Result - traffic chaos. As is well known in the area - but which still catches out visitors - Station Parade leading to the Station is now privately owned and 'policed' by aggressive security 'goons' armed with cameras. ALL drivers, passengers (even families with young children), and reg. plates are photographed if they enter this now private road. The owners of the vehicles via the DVLA are then sent exorbitant fines for trespass.' This directly affects pick ups / drop offs of passengers at the Station &/or Staycity Hotel; and especially any disabled or infirm passengers. And there is no turning circle at the Station end of the road as there used to be - such as for bus substitutes. Even customers at the Tesco Express are photographed, and as for parking to load the 'family shop' - no chance. 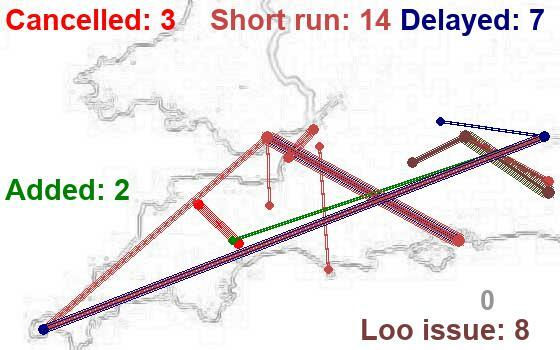 Transport for London / MTR Crassrail have done NOTHING to solve the situation. The perps. of this aggressive policy are the management / freeholder(s) of the High Point Village complex. They must be making an absolute fortune out of the fines. The Station has been blacked by black cabs from Heathrow. "The station is now operated by Transport for London. 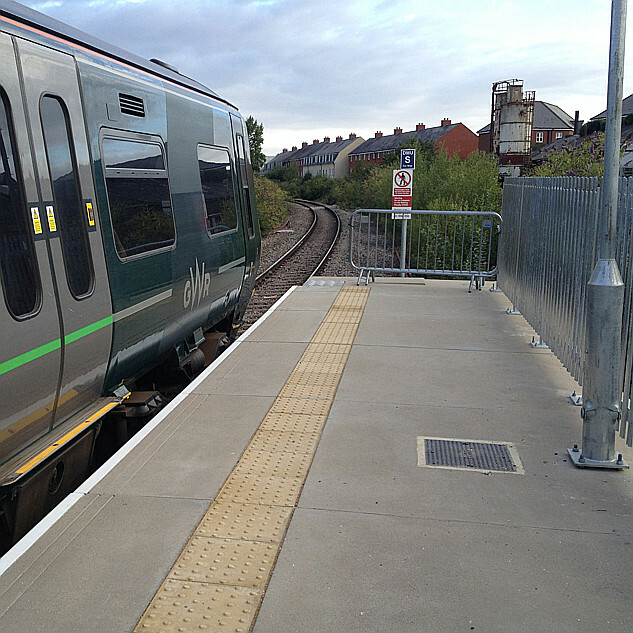 "Whilst building works at Hayes and Harlington station are taking place, drop off facilities are currently limited to the short-term car parking spaces near the entrance to Station Approach; disabled parking is however available at the station end of the road. Stopping and parking restrictions in Station Approach are being strictly enforced by a private contractor and it is not possible to pick up or drop off passengers anywhere else along the road. Drop off arrangements for once the new station is built and the Elizabeth Line opens are still being finalised." BTW this statement is a direct lie: "... disabled parking is however available at the station end of the road." There is no such zone - period. Evidence? I would suggest that they may well have done something ... but not have succeeded in the short term and be frustrated themselves just as you are. In fact the following - also in your post - backs up my suggestion and tells me that the are working actively for a better arrangement at least in the future. Stopping and parking restrictions in Station Approach are being strictly enforced by a private contractor and it is not possible to pick up or drop off passengers anywhere else along the road. Drop off arrangements for once the new station is built and the Elizabeth Line opens are still being finalised." At noon a bunch of proud TfL 'suits' (sans actual suits but they had rolled up shirt sleeves) with prominent dangly ids. were joyously congregating in the upper foyer of Hayes Station. It appeared to be the day of the actual 'takeover' of TfL. A blue 'Tin Lizzie Line' train went through - at least its doors didn't drop off. They looked on proudly. Never mind the squalor of the station - STILL a building site with no rebuilding progress in evidence after all of these years. Never mind the new ticket machines that don't accept cash, don't issue pre-paid tickets, don't top-up Oysters, i.e. basically don't work as advertised. Meanwhile the stairs from the upper foyer down to platforms 2 and 3 are now permanently blocked. This means that passengers have to lummox themselves and luggage over the bridge to / from platform 4. BTW the Station still doesn't display a name outside. If all of this makes TfL staff proud then GHU on a bad day. How did they arrive at the station, in chauffeur driven limousines which dropped them off in Station Parade ? Is it right that the security 'goons' photographing every car and its passengers dropping off / picking up outside the Staycity Hotel in Station Parade are also [allegedly] photographing young kids and mothers too? There's certainly appears to be at least one error on that page. On the way home this afternoon I called in at Hayes Station for the Metro. There were two uniformed TfL staff loitering in the upper foyer. I asked them when the station's name sign was going to be put back at the front of the station. They said that they didn't know it was missing!!!! I said its been missing for quite a few years. They still didn't understand what I meant. Then they said that the upper foyer was going to be closed and demolished anyway so no sign was going to be replaced. And the ONLY entrance would be via platform 4 in Station parade. Now I understood that the upper foyer was going to be retained in the new station. After all there are stairs going from it and the bus stop there down to platforms 2 / 3 / 4. And I know from the tests that NR did a few years ago that the bridge at the London end cannot be used for rush-hour crowds due to health and safety - its simply not strong enough. They then said that the whole station was going to be rebuilt. Hmm - there's no sign of that even being started - and Crossrail money has run out. But we do need the station name back!!! Caught a train from West Drayton on Saturday on my way home. Saw the new TFL ticket machines and took a look. There's a tile on the front screen offering collection of tickets. I would expect these are the same machines that have appeared at Hayes. Incidentally the new machines at West Drayton are inside the ticket hall, I didn't see any outside where they used to be. How do you buy a ticket when the ticket hall is closed?